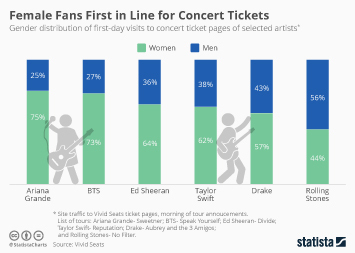 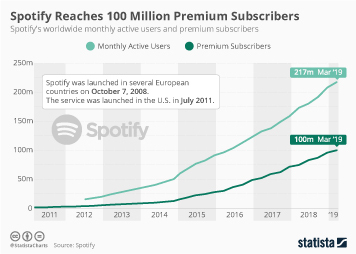 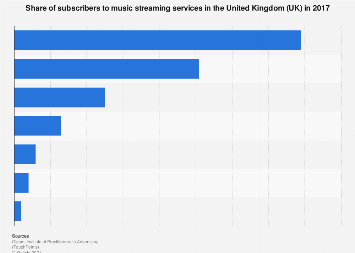 The rise of music streaming continues. 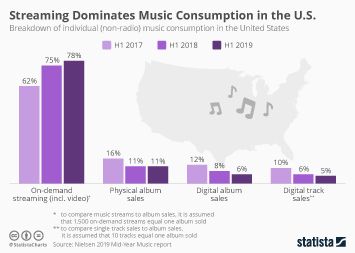 As figures published in Nielsen's Mid-Year Music Report reveal, the number of audio-only music streams in the United States nearly doubled in the first half of 2016 compared to the previous year. 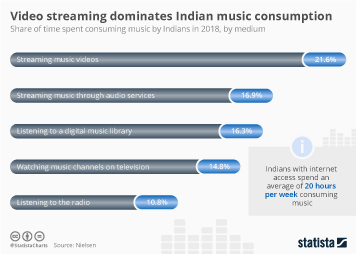 Including music video streams, Americans streamed 209 billion songs from January through June, up from just 50 billion three years ago. 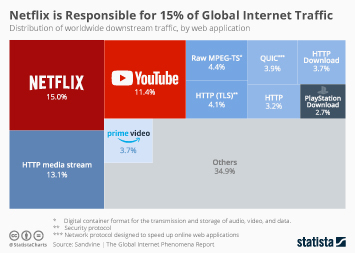 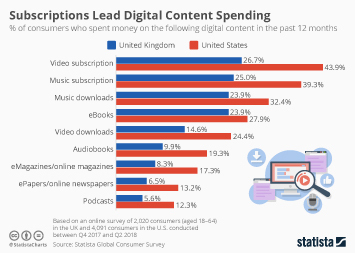 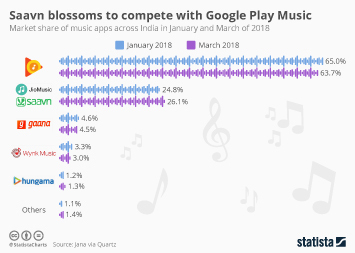 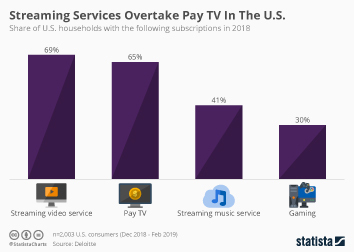 As expected, the rise in popularity of streaming comes at the expense of other market segments. 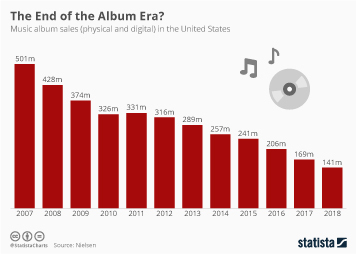 CD album and digital album sales declined by 12 and 18 percent, respectively, while digital track sales plummeted by 24 percent. 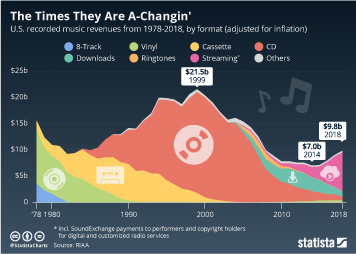 The only format besides streaming that is rising in popularity is vinyl. 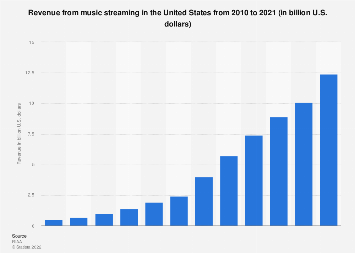 The preferred format of analog music lovers continued its comeback with a 12 percent increase in LP sales. 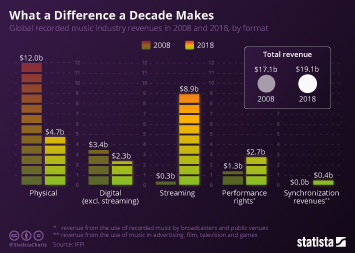 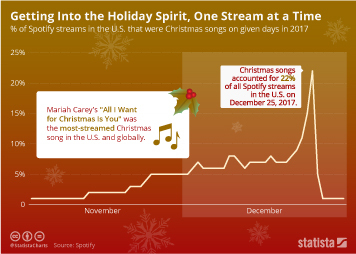 This chart shows the year-over-year change in music streams, downloads and sales in the United States.